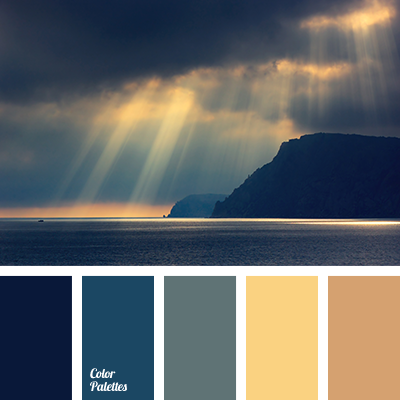 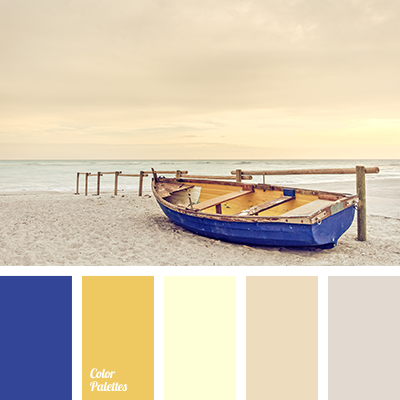 Warm shades of beige and sunny golden-yellow colours make dark blue colour warmer. 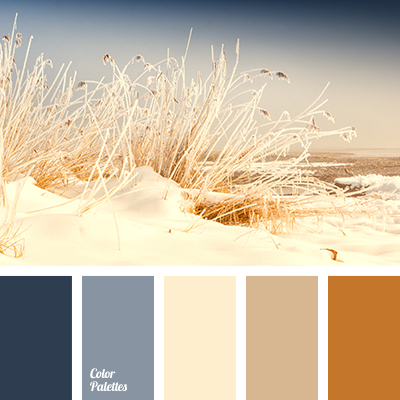 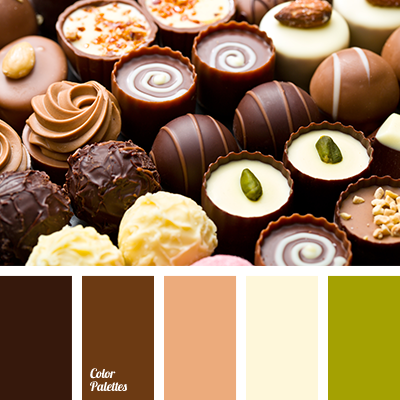 This colour combination will fit perfectly into a bedroom design. 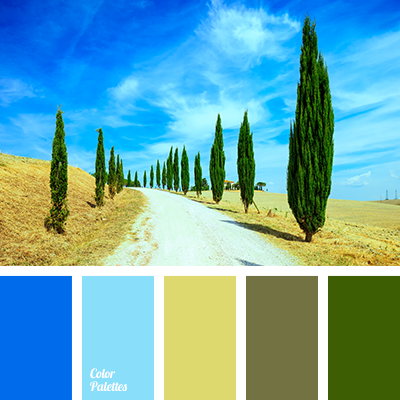 beige, brown and yellow, colour of gold, colour of sunrise, colour solution for designers, colours of morning, dark blue and light yellow, dark blue and yellow, designer palette, electric blue colour, golden colour, gray beige, morning colours, pale yellow, palette for designers, shades of beige, warm shades of beige, yellow and brown.